THE turmoil caused in the United States after the presidential election could have a bearing not only on the Trump presidency, but also on the limits to democracy that the defiant moneyed class in that country is prepared to allow its less privileged people. And in this there are lessons for Pakistan too. Those staging protests across the US are, in the words of Paul Krugman writing in The New York Times, “all those left, centre and even right who saw Donald Trump as the worst man ever to run for president and assumed that a strong majority of our fellow citizens would agree.” Krugman is still worried about “the intellectual dishonesty and lies” on which the Trump campaign was based. The prevailing political climate is conducive for the rise of Trump-like mavericks in Pakistan. Many who shared Krugman’s views are in a hurry to stand corrected. Some of them were among the 122 Republican foreign policy experts who had found Trump’s vision of American influence in the world “wildly inconsistent and unmoored in principle,” swinging “from isolation to military adventurism within the space of one sentence”. At the same time we are witnessing respect for the US tradition that whoever is elected president is acknowledged as leader of the nation by the people, including those who might have opposed him. Thus, former president George W. Bush, who was eager to announce that he had voted neither for Clinton nor for Trump, was equally keen to congratulate the latter after his victory. Hillary Clinton and President Obama also followed the hallowed tradition of hailing the president-elect. Wagers are now being accepted on the impact of the anti-Trump protests taking place and the big rally reportedly being planned for the inauguration day. Commentators are wondering whether Trump will be able to complete his term. Some guesses appear to be well off the mark. What may be reasonable to expect is that some of the ideas that offend US concepts of reasonableness will disappear from the Trump administration’s rhetoric though not necessarily from its assumptions and objectives. However, it is apparent that the Democrats who have rushed to acknowledge Trump as their state’s new helmsman, the Republican critics of Trump who are now ready to jump on to his bandwagon, and even the protestors, all want to protect their institutions, especially the presidency, from erosion of its credibility and respect with the people. Perhaps more worrisome to the Americans and the world than the election of Trump is the fact that US conservatives have taken off their gloves and bared the knuckles they wish to use to get their way at home and abroad. They no longer need maintain a reasonable front to hide their questionable designs. Nobody should forget that Trump won the Republican nomination against less unpopular rivals and despite the opposition from not only the liberal lobby outside the Republican fold but also from quite a few party stalwarts. He obviously drew strength from elements in American society who support isolationist, racist, confrontationist ideas. Then there were people who did not like rich employers to pay for their poor employees’ health bills. There were others who were prepared to forget what Trump was because he said something they wanted to hear, such as Pakistan’s spokesmen who welcomed his offer of mediation on Kashmir, something he can never do, and certainly not according to Islamabad’s wishes. What the enlightened Americans and their friends need to ponder is whether Trump is the generator of politics of hate or whether he is the symptom of an unhealthy growth within the US polity that threatens to destroy whatever is good in the American way of life. Isolationism in the US has a history that goes back to Woodrow Wilson’s days, if not earlier. The lessons the Trump phenomenon offers Pakistan are pretty serious. 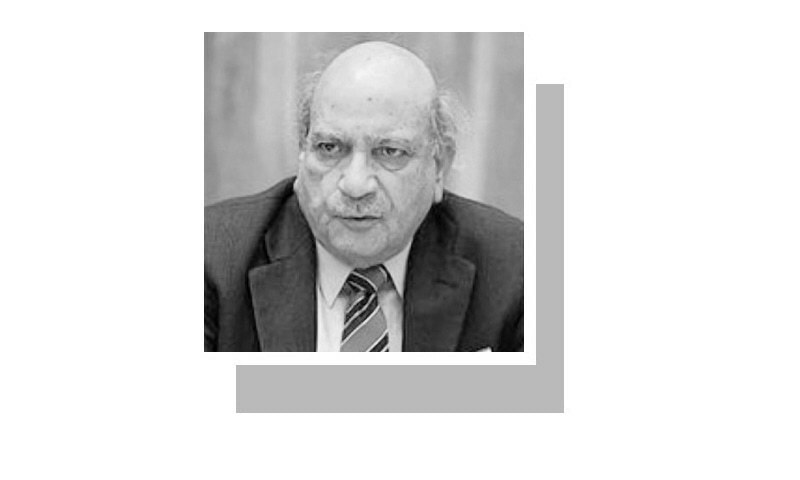 First, beneath the surface of an ineffective and vulgarised version of a democratic dispensation, the alienated Pakistani masses are drifting towards extremism in thought and action. The state’s excessive reliance on force as the only means to settle political differences is putting a premium on intolerance and militancy. The wave of sectarian violence only partly reveals the extent to which a very large number of Pakistanis are driven by hate. All those who are content with indulging in the rhetoric of democratic governance without bothering to act by what they preach should not rule out the rise of Trump-like mavericks in Pakistan. Now is the time to cut down on hate-based policies towards political dissidents at home and estranged nations abroad. It is imperative to develop rational answers to the national crises through respect for pluralism at home and cultivation of peace in both spheres of primary interest — South Asia and the Muslim world. When the US Democratic leaders embraced Trump out of respect for their national institutions, quite a few observers here wondered whether Pakistani politicians could show similar regard for their institutions. They were in fact recalling an old complaint that deviations from the path of democracy and law had ruined all national institutions. The issue has acquired crucial significance. Events have taken such a shape that the key institutions of parliament and the judiciary are on trial — the former for shirking its responsibility and the latter for being pushed into assuming responsibilities lying outside its normal domain. Further, we are making the grave mistake of ignoring the importance of national institutions outside the state sector. The surrender of academic space to the forces of bigotry is nearly complete and hegemonisation of civil society, especially the media, is proceeding at a frantic pace. The cost of regression in both these areas will be unbearable. Please, I suggest, resist this remote control political punditry. I find Mr Rehmam's writings honest and sensible. Sir, please keep writing even though some people would dislike this bitter truth and ridicule you. Ultimately truth prevails. ''The surrender of academic space to the forces of bigotry is nearly complete and hegemonisation of civil society, especially the media, is proceeding at a frantic pace. The cost of regression in both these areas will be unbearable.'' Sums it up. Most countries already had Trumpism, it shows up in different formats ,ethnic hatred, sectarian hatred, gender issues. How could there have been intellectual dishonesty when the Trump supporters have no intellect? Chances are the alarmists will cool down and the Democratic Party will work toward making Trump a one term president. Blacks and Whites who served together in all branches of the military since World War II do not have a problem with race. Civilians have a problem with race. No members of the US military are excluded from any part of the military including officer training. When military members are released from duty they return to civilian life with a better understanding of people than they had when they joined. Especially a better understanding of the aspirations of their own people. A disabled female veteran of Cambodian/American decent (an officer severely wounded in Iraq) was just elected to the US Senate from Chicago, Illinois. American officers are highly educated. Many have advanced university degrees with tuition paid by the military. Rehman Sb. need not worry, nothing is going to change in America, it was election rhetoric,nothing more. Decades of towing American line has not been to our advantage .D.Trump is in a threatening mode and we need to stay calm ,icy cold , and not too bothered with his posture . We must "stone wall " his out bursts against Pakistan . It will dawn upon him soon how badly he needs our cooperation . We must not cave in as Musharraf did . Irrespective of Trums credentials, elections in Great Britain and USA have proved that people who are not directly benefited by government in power are going for change in a drastic way. In Pakistan this trend will help PTI to win 2018 election if Imran Khan can approach people, specially in rural areas. Any 'pressure' from new president elect should be resisted 'very calmly' and if worthy of discussion it should be discussed in the NA before responding!